"Spy Pics" What could this be ?? I give tremendous credit to large scale RC and there staff, there great and MCD makes only the highest grade 5th scale, my opinion none compare in durability, but I have to say, why did they go with such an ugly body. Again this is just my opinion, but it seems this body is found on the Nutechs, redcats and other cheaper made cars, I think its a disappointment if you ask me. I wish somebody would come out with something original and not cheesy like that body they offer now. Is it mechanically identical to the Baja 1000? 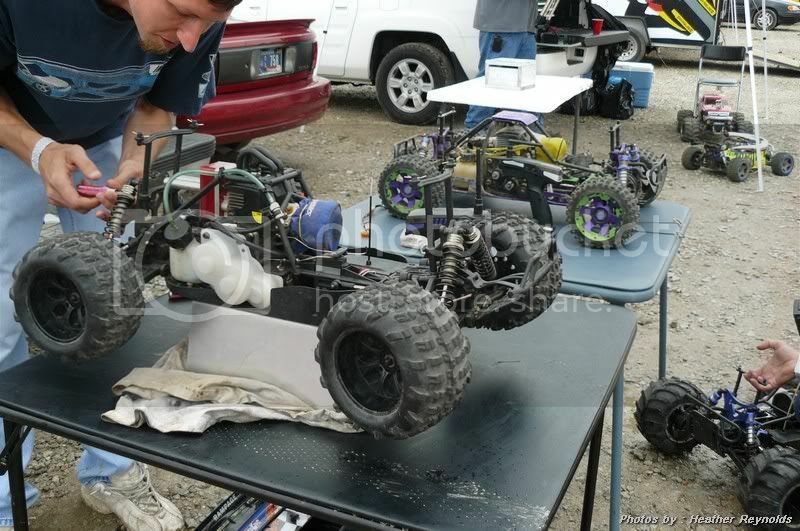 well as for the shortened proline desert rat body, looks like a v4 truggy to me. sorry guys but i thought short coarse wheels and tires were inside the body not out like a truggy. No because there is no current V4 Baja1000. It is Identical to a V4 Racerunner though in drive & chassis & suspension. It's a Baja1000 like V4, I guess you could call it. It's a choice of 100$ more for body & mounts. A Grand, you need to shop for more than RedCat stuff Just messing with ya'. I want to run against that new kitty, get it going & come up here with it. Just put a new engine in mine for playing tomorrow. Eventually I believe so, but focus is on the new Chetah right now. I did see the proto & the one move in tighter. I'm sure a good engine & pipe make a big difference. Nothing like overpowering everything ... It's WONDERFUL ! got any pics of this on the inside? is it 2 wd or 4WD? This is the closest I have to an underbody shot. 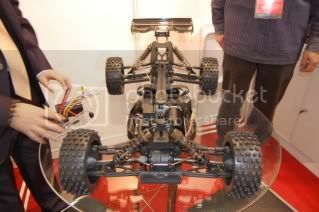 It is 4wd & from what I understand is made off of like the RC8 1/8th scale buggy platform. This is the original Prototype Robn64 has now. these using wheel squares or ramp 23mm adapters??? am i gonna see this at bajafest?? so what body is that? 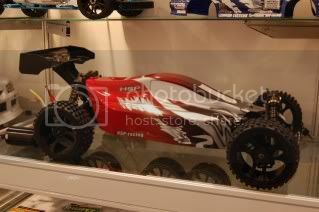 a Proline rat body?is there more pics of the body?